Day 2 of our Disney excursion was spent at Disney Hollywood Studios. When I went last, this theme park was called MGM Studios. There was a section that was under construction, for what I can only assume was Star Wars world. 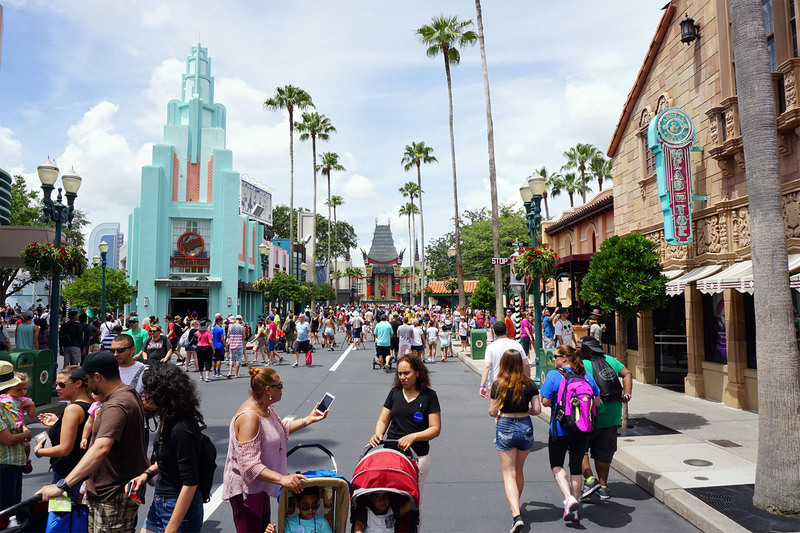 Much of the park was as I remembered from my youth, with the addition of many Star Wars events and areas. When we were getting coffee at the Starbucks, there was a First Order march that came down the main street. We made our way to the Tower of Terror first. Probably the most iconic ride in the park. I HATE these kind of rides. But since they remodeled the one at Disneyland, it was probably not long before the one here would also be changed, so we rode it what could ostensibly be the last time. You can see the terror on my face as it goes down. We caught some other smaller shows, then made our way to the Indiana Jones Stunt Show. It’s still the same from when I was 10, definitely a classic to see while at this park. We headed to the Aerosmith Rock N Rollercoaster afterwards, with fast passes in tow. I love launch coasters, and this was no exception. We wandered around the park as we waited for the fireworks/light show. Sean saw a cool hipster Mickey shirt, but unfortunately they didn’t have it in his size. We took a picture with an AT-AT even though the photographer wasn’t supposed to. She said she would though because we said “Ay-Tee Ay-Tee” correctly, instead of “at-at”. Dinner was eaten at the 50s Prime Time Cafe. I ate there when I was 10, and so I took my friends there as well! The day ended with us catching the Star Wars Spectacular. It was pretty cool, but a little underwhelming. Until next time MGM Studios. Maybe when Star Wars world is up.